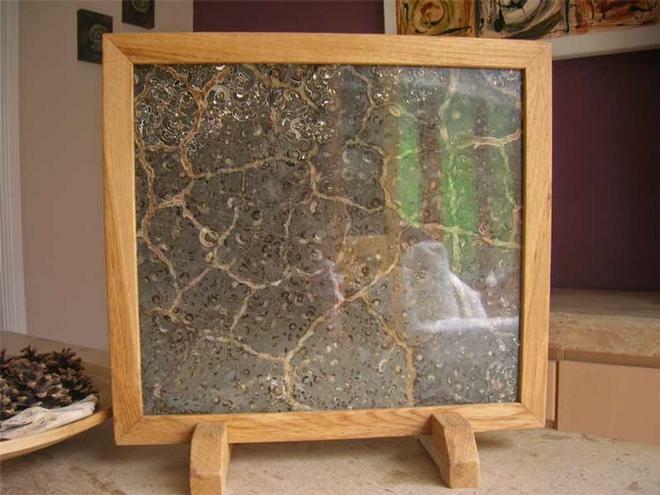 This beautiful slab of highly polished Marston Marble has been set into an oak frame. It can either be display on a wall or it comes with two detachable stands also made out of oak, for free standing. 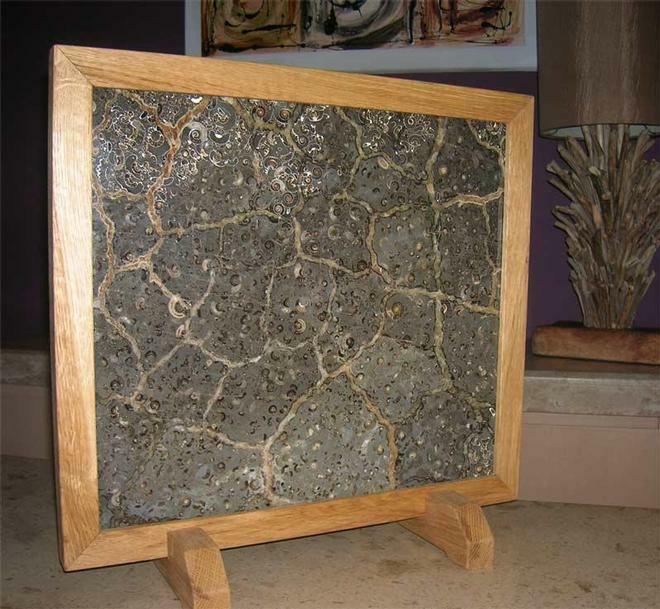 The specimen can be displayed length or sideways and has been polished on both sides to maximise the display options. 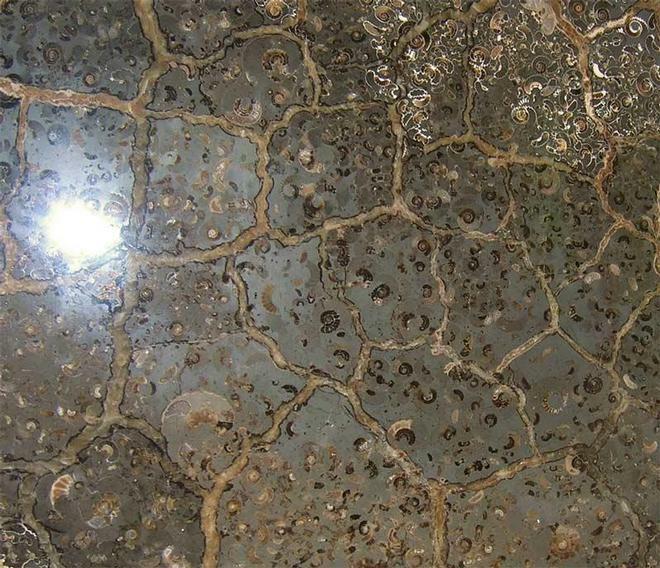 Billions of these ammonites were wiped out some 200 million years ago, probably by an algal bloom or volcanic activity, instantly killing the ammonites which then accumulated on the fine sediment of the sea floor. 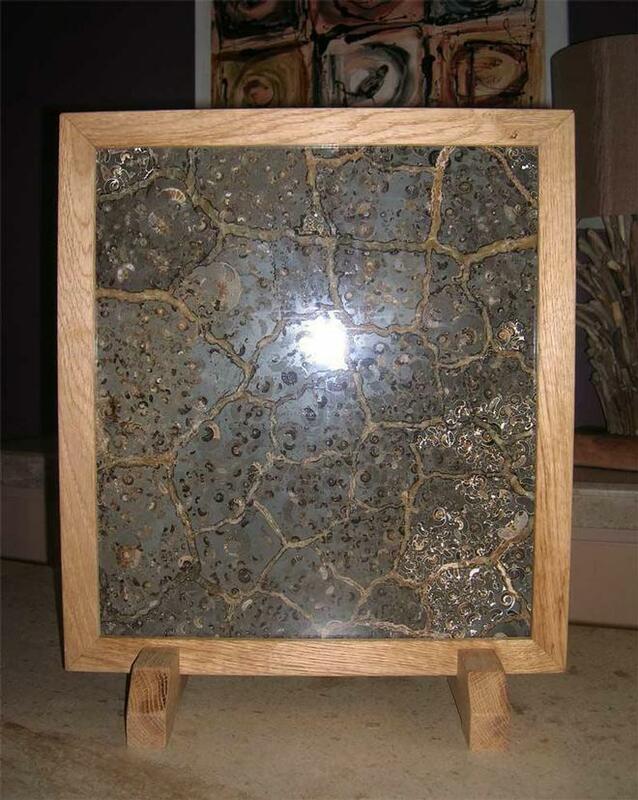 This superb display fossil would make a totally unique item for either the home or office space.